"Martha is one of the funniest writers alive today." Martha Bolton has written material for some of America’s funniest people like Bob Hope, and she’s even written material for people who wish they were funnier, like me. Her comedy is refreshingly wholesome, bitingly timely, and pants-splitting funny. I would write more, but I have to go get my pants fixed. "Were one to look up the definition of 'a great top comedy writer, talented, sensitive, and a truly genuinely nice person,' surely a picture of Martha Bolton would appear. 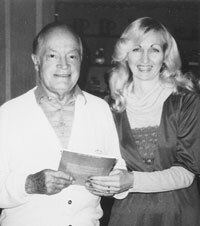 She is a brilliant talent, having written for the likes of the great Bob Hope all the way to my shows, whether in Las Vegas or the U.S.O. Tours in Beirut or Afghanistan. She’s the best and I am honored to know her." "Sharp, funny, satirical, and relevant. If there's such a thing as a winning book for 'losers,' this is it." 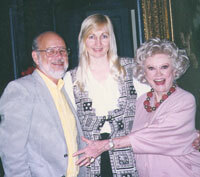 "I have fond memories of working with Martha on the Bob Hope Show specials in the 80s and 90s. She's one of a kind!" "I wanted to tell you that it was nothing less than a pure privilege to work with you on the two shows we did recently..."
"You are SO inspiring, the way you stretch yourself as a writer in every direction!!! I am your biggest fan." 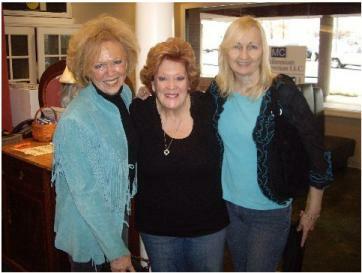 "Martha Bolton is a terrific comedy writer and I consider her a wonderful friend as well. Her characters rock!" "As nice as she is funny. And she is very nice." Martha Bolton has an attitude that makes her writing special -- she cares about her audience. That makes every reader part of her writing and makes it that much more enjoyable for anyone who reads or listens to any of her work. "Martha Bolton is quickly becoming the Neil Simon of Christian drama." delivery come to life for the readers." --Rick Burgess and Bill "Bubba" Bussey, co hosts of THE RICK AND BUBBA SHOW. "A couple of weeks ago, I understand that I may have drawn my final image of our calamitous cook. After having done one a month since (gasp!) 1990, I kinda thought the event deserved some kind of mention. So, here's my note saying how you've certainly been the easiest collaborator I've ever had to work with. I figure we've done about 190 of these things (give or take a few) and I can't remember complaining about having to do them. I'll miss the ol' gal. I think it's the longest I've been associated with anything in my whole career. That deserves something, doesn't it? 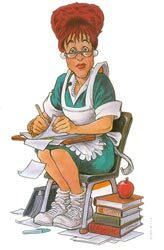 I then lift high my little milk carton (torn open, because those spouts never did work right) with a soggy straw, to salute the Cafeteria Lady and all who worked with her. Thanks for letting me do this for so long." "Martha Bolton is a consummate professional and a joy to work with. Talented, extremely funny and clever, she deserves all of her success." "My friend Martha Bolton is one of the most gifted and funny people I know. hurts. I adore her and her gift is truly amazing." "Martha Bolton is one of the kindest, most hilarious people to have ever paid me money to say something nice about her. Seriously, she is kind and she is hilarious and she didn't pay me a dime to say that! Besides, a new book from Martha Bolton is as welcome in our house as Grandpa at Christmas. It comes with a suitcase full of gifts, including laughter that is fast-acting and long lasting."